Employer and employee: Who owns the invention? An employer (in the scope of this article, PLF will only make mention of the employers being enterprises) and an employee are bound by a labor contract. In this contractual relationship, the employee offers his working effort to receive a corresponding amount of money. Such effort will be used to do the job agreed by both parties. However, there has yet to be a regulation stipulating whether the inventions created by the employee during working process indubitably belong to the employer. According to the provisions of Law on Intellectual Property in 2005 (hereinafter referred to as “IP Law”), an invention is “a technical solution in form of a product or a process which is intended to solve a problem by applying laws of nature”. Also as regulated in the IP Law, organizations who have invested funds and material facilities to the creator of an invention under the form of job assignment or hiring (unless otherwise agreed by the involved parties) will have the right to apply for invention registration. As expressed above, the employer has the right to apply for a patent when hiring or assigning the employee to create an invention. 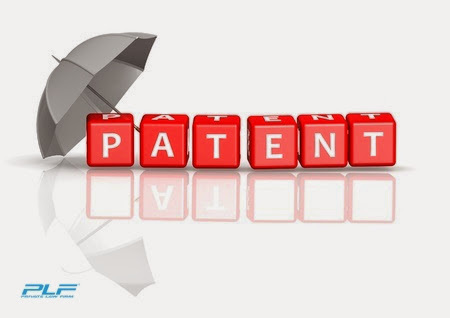 Once a patent is granted, the employer is acknowledged by law to be the owner of such invention. In this case, the employee shall have moral rights related to the invention, including being named as creator in the patent or being acknowledged as creator in documents in which the invention is published or introduced; the employee might also receive remuneration for the invention they created. However, on the other hand, the case in which the employee researches and creates an invention without being hired or assigned with tasks by the employer has not yet been mentioned in any regulations. In case where the employee creates an invention without using any of the employer’s tools, vehicles, or utilities, and not during the labor process or within labor relations; such invention must be deemed intellectual property privately owned by the employee. On the contrary, depending on labor regulations issued by the employer, the parties may agree to determine the ownership of the invention created by the employee out of the labor relations by using the tools, vehicles, and utilities of the employer. A labor contract acknowledges the mutual agreement between the parties in labor related matters. Therefore, to avoid unnecessary disputes, the employer and employee should pay attention to the terms relating to intellectual property when building and drafting a contract. How are trade secrets protected in Vietnam? What are the benefits of registering a trademark under the Madrid Protocol in Vietnam?